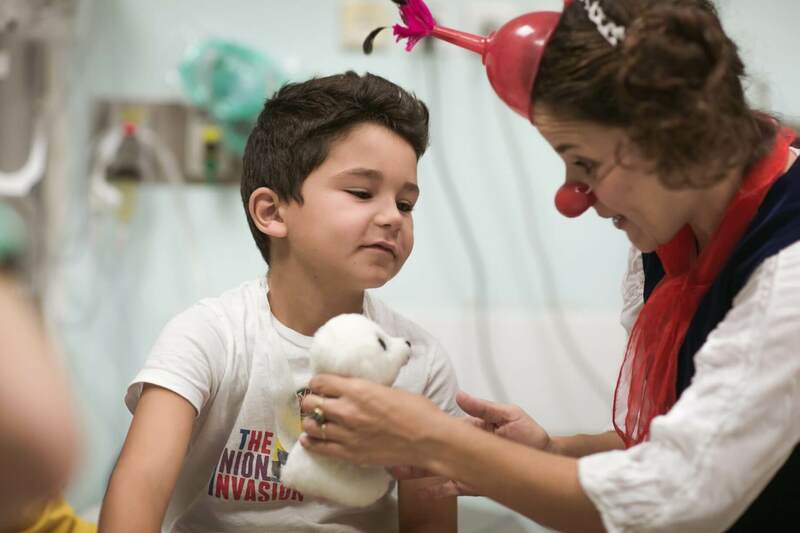 The Dream Doctors are professional medical clowns integrated into the multidisciplinary care teams in 29 hospitals throughout Israel, working on regular days at set hours. 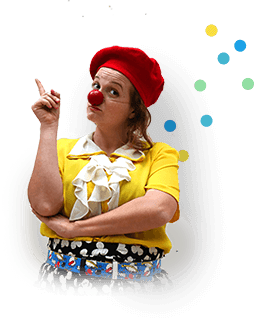 Each hospital has a contact person who supervises the medical clowns and sets the priorities, directing the clowns to the various wards to meet the hospital’s needs. Thanks to our cumulative experience, Dream Doctors have developed specialties in working in various units such as Nephrology, Oncology, NICU, Child Development Institutes, and more. 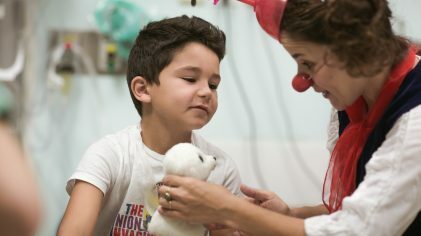 Dream Doctors play a unique role in patient care teams, using their skills and talents to assist the multidisciplinary medical staff to advance treatment. Consequently, the Dream Doctors work mainly in the mornings, when most of the medical procedures take place, participating in more than 40 various medical procedures: taking blood samples, accompanying patients to surgery and other painful and complex procedures, such as injections directly into the joints, burn therapies, and accompanying child victims of sexual abuse during their examinations. 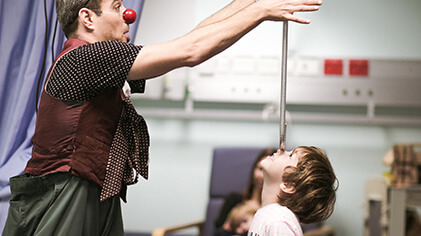 Dream Doctors are professional performing artists and experienced actors who use a wide variety of techniques during procedures to distract child patients, such as creating a fantasy world centering on the medical equipment used, role playing, and much, much more. They adapt their toolbox to each patient, situation, and to the particular treatment, with an extremely high level of sensitivity and attentiveness. And all patients are treated equally, without regard to their religion, national origin, ethnicity or gender.